This is a pro-recovery site. My intention is to create a safe recovery community with tips and strategies that will help people to recover from binge eating, compulsive eating, bulimia, and other difficult eating patterns. I advocate a mindfulness based, non-diet, intuitive eating approach to recovery. 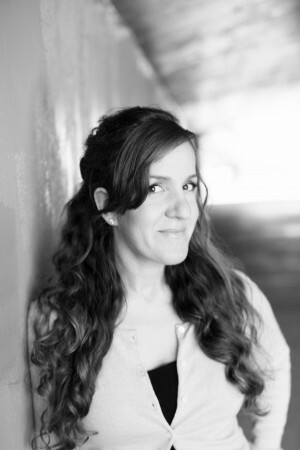 I am a San Francisco psychotherapist specializing in the treatment of eating disorders and the author of Reclaiming Yourself From Binge Eating: A Step-by-Step Guide to Healing. I have been working professionally in the eating disorder recovery community since 2005, and have been involved as a volunteer and participant since 1999. I have trained at several different Eating Disorder facilities, and have worked at various Eating Disorder Treatment Centers doing individual and group therapy as well as hypnotherapy and meditation for healing. I have advanced Psychological training in treating Eating Disorders. Because I understand the difficulty in getting treatment (be it the cost, the inaccessible nature of treatment, or the problems with actually incorporating treatment with life) I have created this blog to help people deal with their Eating Disorders. This is certainly not a substitute for treatment, but I am hoping to do my part in helping to make recovery accessible and possible for those who don’t have access to a therapist. Please email me if you have any questions or need advice regarding your particular eating issue. I see the value in constant support, educational resources and community when trying to recover from food issues. I hope that people jump on, comment, or share their hopes strength and inspiration. Want to start your healing process right now? Join the mailing list for lots of tips and support and information about upcoming classes, coaching programs and support groups and pick up your copy of Reclaiming Yourself From Binge Eating. I think it was sometime around 1984 when I realized that I had a bizarre relationship with food and my body. I was ten-years-old at the time and although most of the adult women around me shared this idiosyncratic relationship with food and their bodies, I knew that there was something uncomfortable about it. Everyone around me was trying to get skinny. All the time. Even those who were already skinny. Nothing and no one was ever good enough, not to themselves and not to others. No skinny was ever skinny enough and no skinny was ever good enough. And I certainly was never good enough. When I look back at pictures of myself as a child, I realize that physically I was a normal, healthy kid. But I didn’t know that. I thought that I needed to be better and to be better I needed to be thinner. And this lead to a very, very unhealthy relationship with food and my body. It took me years to come inside of myself and become who I was and start to work on the inside and let the outside fall where it may. I learned how to love the good in me and around me. I learned how to accept and not criticize my body or anyone else’s. I learned how to be loving to myself and to those around me. I allowed myself to heal from the tyranny and the pressure to be skinny. In 1999, I began working on helping other women heal their own food and body image demons after receiving my certification in Hypnotherapy at the Oakland Center for Hypnotherapy. I loved what I was doing and wanted to delve deeper into understanding the workings of the human mind and emotional pain. This spurred me to pursue my graduate degree in Psychology. I then began working at treatment programs for people with eating disorders and learning everything I possibly could about treating them. I received my Master’s Degree in Integral Counseling Psychology from the California Institute of Integral Studies in San Francisco in 2006 and became a licensed Psychotherapist in the State of California. After treating hundreds of people with eating disorders and collecting stories, thoughts, notes, and seeing what worked, what didn’t work and what did work for some but not for others, I sat down to write this book. It took me several years to write and I hope that if you choose to buy it, you find it healing. 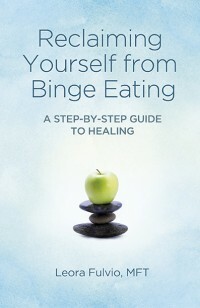 My book, Reclaiming Yourself From Binge Eating: A Step-by-Step Guide to Healing utilizes everything I’ve learned from all of my clients, my teachers, my supervisors and my own process. I’ve condensed it into concise steps so that you take each chapter one at a time and complete that step before you move on to another one. You can use this book with your therapist or with a very close friend, a sponsor or clergy, or anyone you trust to help you go through the steps. You can even use it on your own, though I do believe that recovery thrives and grows with support and love from someone you trust. thank you so much for sharing your blog. I can relate to some things on here so much and the tips here…are wonderful. I was skimming through posts and came across the One Day w/o Binge Eating Challenge and thought it was a great idea. I am definitely an all or nothing thinker. Maybe one day at a time will help me realize I can stop this. Please keep this blog running. I just found this blog and it is awesome! I am a binge eater and I just can’t get a hold of it. Thanks so much for all of this information. I really appreciate it!!! Thanks so much for this awesome blog! I am a binge eater and I really need to read all of the info here. Thanks again!! I am so thankful I found this blog. I am a binge eater. I have struggled so much over the past few years to get control of this. The more I try, the worse I seem to get. Reading your site has been so helpful, for many reasons. First, I don’t feel so alone in this struggle. Second, because what you say makes so much sense. I have seen so much of myself in what you have written. Making these small changes seem achieveable. Thank you for sharing what you know. Tonight I was about to binge again. I was and still am practically in tears and about to stuff my face with popcorn even though I’m already full from dinner. Then I found your blog. Reading it has made me feel less alone and freakish. Your suggestions really helped. I think I might make it through the night without binging. Thank you. Hi, Thanks very much for keeping this blog running, I found it very useful in my battle with Binge Eating. I am a 41 year old mum with 2 DS and DH. I have been suffering from Binge Eating Disorder since I was a primary school, probably around the age of 8 or 9 from looking at photos. I was a plump child and my mum put me on my first diet at 14 and I think there lies the problem! I have been on WW, SW and a few other faddy type diets and not unsurprisingly I gained weight after each of these failed. I am now about 3-4 stone overweight and have just totally given up on trying to actually lose weight, at the moment I would just be happy not putting any more on. Above all and even above the weight and body image issues, I would just like to be able to stop Binge Eating as it is seriously f**king up my life and getting in the way of work and family life. I binge eat almost every day at the moment and the emotional and financial impact is becoming serious now not to mention the health implications. Thankfully, I am no longer bulimic, so that is indeed a victory but I am still left with the Binge Eating Disorder (BED). I have decided to blog about my day to day musings and struggles with BED on my website http://www.bingeeatingmum.org.uk/blog.html so please have a look and see what you think as a sort of critique exercise maybe? . I’ll probably sound absolutely bonkers, streaming my consciousness onto the blog page but it is very cathartic and maybe just one person can relate to it and feel not quite so isolated and ‘freakish’. Love to everybody suffering out there. I just wanted to thank you for writing this blog and bringing awareness to binge eating disorder. It affects so many of us, yet it is rarely talked about. I look forward to following and reading more success stories! I wasn’t able to find a guestbook, so I’ll just leave the following here. Thank you so much for creating this website and writing about your struggles. I’m bulimic and currently try to recover and I feel like your blog has helped me a lot. I have one question though, the forums don’t seem to work? I only get a 404 error when I click on the link. Is it my PC’s fault or have they been deleted? I love your blog and all the excellent content you have been providing. Using meditation and mindfulness as central tenants to dealing with Binge Eating Disorder is great advice. It helped me deal with my binge eating and it’s something I recommend to others as well. I live in England but I am interested in getting the binge eating hypnosis download. Am I still able to get this if it is an American website? Also how do i know it’s a secure site? The payment is via paypal, so it is secure. People have downloaded from overseas and it has worked out fine. But if there is a glitch, send me a note via the contact page and I can email the MP3 directly to you. I hope you find much peace and healing with the hypnosis session. What an incredible website you’ve created! Well written, informative and compassionate articles that are clearly written by expert in the field. There are many internet resources out there on ED recovery but none come close to providing the valuable information and variety of topics you cover here. Thank you! You probably have no idea just how many people you’ve helped by dedicating your time and energy to this website. From me and many others out there, a big, big thank you. thank you for your words. So glad my blog has been helpful.